BB10's Android runtime will be updated to Jelly Bean! When BB10 arrived last week one of the less will executed features was the Android runtime layer, you know that bit which makes all those ported Android apps run so well on the new OS. Well at the moment the only Android apps which are supported are those which were built for Android 2.3 Gingerbread, an OS which has been around since December 2010! So Blackberry have today confirmed that the runtime layer will be updated to Jelly Bean at some point in the future, but there's been no concrete timescale being discussed at the moment, so we're hoping it'll be sooner rather than later. 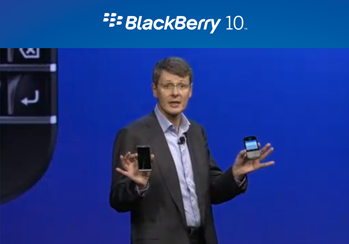 The BB Jam in Europe has supposedly been the kick which Blackberry needed to get this going after hearing feedback from developers. The runtime will become Android 4.1 Jelly Bean and so you may well see some apps with those more modern 'holo themes' which actually won't look too out of place on BB10! This is a smart move from the guys from Canada and hopefully it'll see a continued flow of ported Android apps, even if people don't build apps directly for BB10 devices!